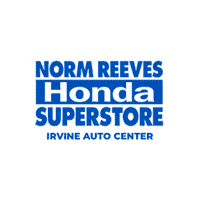 At Norm Reeves Honda Superstore Irvine, we’re happy to lend a helping hand to drivers in Santa Ana, Tustin, and Rancho Margarita with their automotive needs, whether they’re in the market for a new or used Honda, looking to trade-in their current vehicle, or they’re in need of some helpful automotive service. We’re not just limited to drivers in these cities, we’re actually here to help drivers from all over. So when you start looking for a “Honda dealer near me,” you can always count on us! 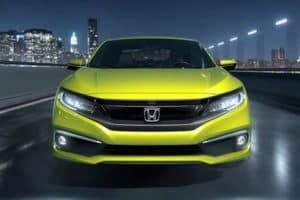 We’ve got an eclectic selection of Honda models for you to choose from, with spacious SUVs, fun crossovers, sleek sedans, and even powerful hatchbacks. We also have a vast inventory of used cars spanning a variety of makes and models that you can get started on browsing today! We’re here to help you learn more about your options so you can choose a vehicle that’s a great fit for you and your needs. Our commitment to our drivers doesn’t simply end at the handshake. In fact, we’re here to help you for the miles down the road by offering expert service and maintenance to help you keep your vehicle in great shape and running at its best. Whether it’s a simple oil change or a complex repair, you can count on us to get the job done and help your vehicle get back out on the road. You may notice that we have a library of Honda dealer near articles on this page. These guides are to help drivers in the surrounding areas find out about us. They may not know about our brand, how we tackle the car-buying experience, or how we go the distance with helping drivers with the tough decisions. When a driver is in the market for a car, they’ll type “Honda dealer near me” in their search bar and begin exploring different dealerships. These pages act as a beacon so drivers in these areas can find us and learn all about how we can help them along with their car buying experience. These guides will discuss the area they’re in, and then introduce our dealership and list off our many services. That way, they’ll know that they’ve got a full-service dealership nearby that can help! When you’re ready to get started, you can drop by and see us or start exploring our inventory. At Norm Reeves Honda Superstore Irvine, we’re proud to help drivers in Santa Ana, Tustin, Rancho Santa Margarita, and the surrounding areas!